I doubt I’m the only one who came up with the phrase, “practice makes progress,” as I’m sure I must have found it somewhere online and it just seemed to stick in my head. It’s something that I repeat to myself often – like “trust the process” or similar thoughts… but this is the one that I prefer the most. When it comes to my fitness journey, I find that practice and consistency are so important in my progress – not perfection. What is “perfect” anyway? Running a mile at a certain speed? Lifting a particular amount of weight for a particular exercise? Who knows? Some days are different. Some days, I go to my Orangetheory classes and I’m happy to ride 10 miles on the spin bike and other days, I push the gears hard and I’m thrilled with 8. Some days I’m happy to run fast, and other days, I plan to take it easier on my speed, but find accomplishment in going a farther distance. Some days, I’m just happy to see that I did better than I did last week. And yet there are other days when I’m pushing through an injury, and my progress is simply that I’m actually moving. And sometimes, I surprise myself with how far I’ve actually come. OK. I need to back up first. August 29, 2015 was the day I finally felt like I became a runner, PRing with a time of 10:27 for my 1mi run. It was also the day that I strained my hamstring, and a few weeks after, I had to stop running completely for three full months. Several months ago, I had to stop running. My knees were unhappy. My hips hurt. My left hamstring was tight, and it hurt every time I tried to power walk or run. I remember running a 10 minute mile (a PR) back at the end of August and my hamstring was so tight after that run. 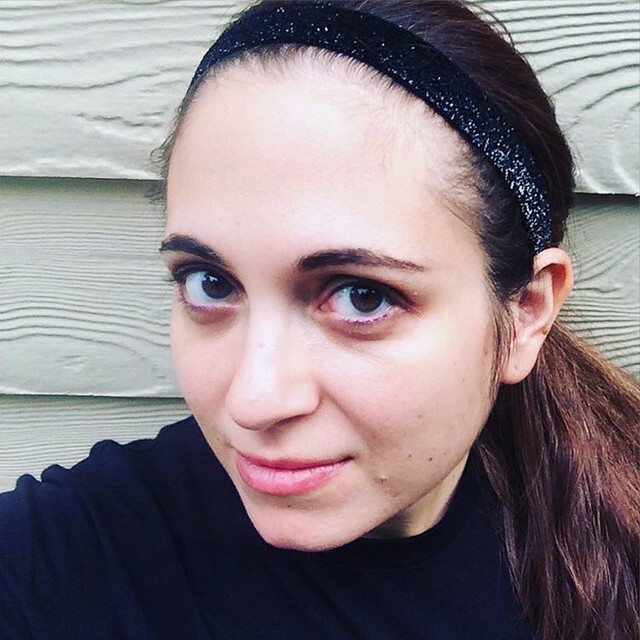 I continued to push it, though, because after finally reaching that 10-minute milestone, I felt like a “real runner” – but I pushed too hard, and a few weeks later, it was clear that I was going to have to stop running for a long time to let it heal. So I did. I took 3 months off of running and turned to the water rower. Well, I love rowing! When I attended classes, I rowed almost every day instead of using the treadmill. I found that not only did I really enjoy rowing, but I had a good endurance for it. 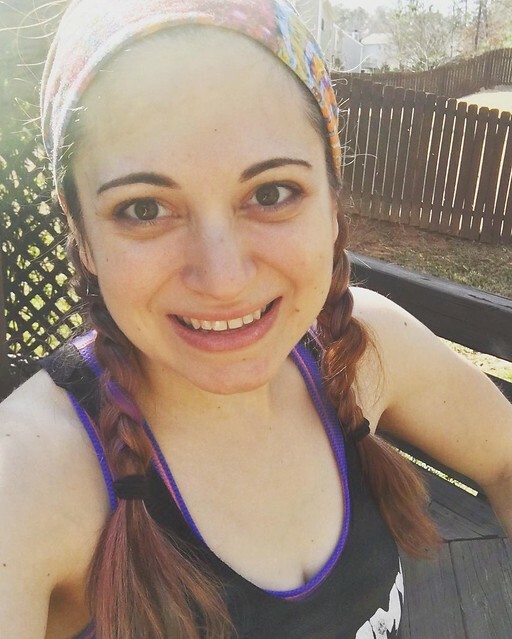 I challenged myself to push for a 5k row as often as I could, and even with my injuries, I still made a great time on the rower because I had endurance. However, due to the problems that I suffered from overdoing my running, the power in my rowing was also suffering. This made me feel frustrated and upset. 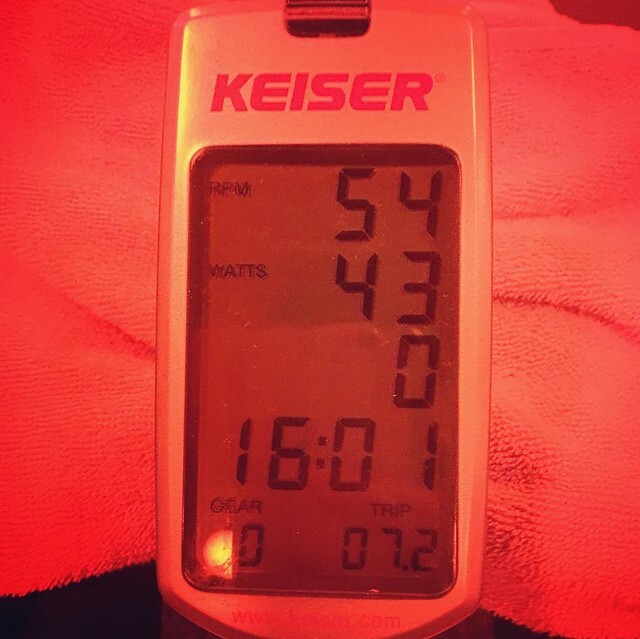 I had recently beat my 500m row time and was pushing watts well over 250… I had 300 in my sights and was anxious to achieve my goal… yet with my new set of injuries, I could barely row at 100 watts. On a good day, I could get to 120 for a bit, but then fell behind again. I felt DEFEATED and like a complete failure. It was hard to get my head in the game some days. I couldn’t run. My rowing was not as strong as it used to be. I remember telling my trainer one day that I feared that I would never run again because I felt like I was not making any progress with my healing. So, I changed things up yet again, maybe at the end of October or early November. I switched to the spin bike, which I didn’t particularly enjoy at first (especially compared to cycling outdoors), but once I got situated… I kind of fell in love… the spin bike became my new BFF, and I love riding it now and competing with myself every day. It is lower impact on my knees and hips, and I get a great workout without the pain. Towards the end of the year, I finally started feeling like I was getting stronger again… I even started running again a couple times a month, very short distances and not overdoing my speed. Short spin in a recent 3 group OTF class – was proud of myself because this is the fastest I have ever gone, at an average of 27 mph! Until December. I was planning my trip to Florida which included a 5K run with my friend Ann. Well, some combination of something caused a strain in my labrum in my hip. Anti-inflammatories helped, but ultimately what really helped was to completely stop doing certain types of exercises that caused it to flare up… including rowing. Well, I made it through the 5K race, pushed hard, and achieved a PR. And when I finished, I basically COLLAPSED against the barricades and could barely walk or lift my left leg for a solid 20 minutes because my hip was so inflamed. I took it easy for the rest of December, completely avoiding any exercises that would aggravate my hip injury and taking it easy with my rowing, often choosing not to row if possible. Continuing through January, I did the same. Every six months, OTF puts on “Peak Performance Week,” where we compete with our friends (and ourselves) for top times in different activities. It was not easy on my hip, but I managed to hold out for a 6:10 minute plank (which was a winning time), and I got a PR on my 2000m row, 8:23 (shaving off over 20 seconds from my last attempt), which was very difficult and somewhat painful. So after Peak Performance Week, I continued to minimize rowing and any hip-flaring exercises while my labrum healed. Last month, I started doing yoga to further promote healing. And slowly but surely, the pain finally, finally, finally began to go away. So, I started rowing again and really engaging my body to achieve correct form, right down to my breathing. I also started going heavier on my squats and really being aware of HOW I was squatting – not just moving my body, but utilizing my muscles appropriately. And then… I noticed something a few weeks ago… my rowing once again began to strengthen. I noticed my watts increasing steadily. Last week I rowed 150m in 29 seconds, which is a PR. I hit 275 watts. Also a PR. On Monday, we were doing an all-out 100m row in between sets of exercises. Each time, my watts went higher. On the third time I made it to the rower, I pushed off hard and hit 303, held it, and then pushed up AGAIN, to 308 watts. My highest yet! I am still feeling the high from this one. I’ve been after this PR for MANY months! After recovering from injuries, but continuing my practice, even if it was just “moving” that day, I finally feel that I am making the progress that I have been seeking. And that feeling is beyond incredible. Here I am at home after finishing that awesome class. The smile on my face didn’t disappear all day. And 308 watts? Well, I won’t stop there. Sure, there may one day be a wattage that I might max out on. My legs can only take so much, after all. But there is always something to practice – always something to progress on. I can’t wait to figure out what my next goal might be! If you made it to the end of this crazy-long post, thank you! Feel free to leave a comment if you’d like – and let me know how you’ve progressed recently on your journey! Any progress, no matter how small, is valuable.